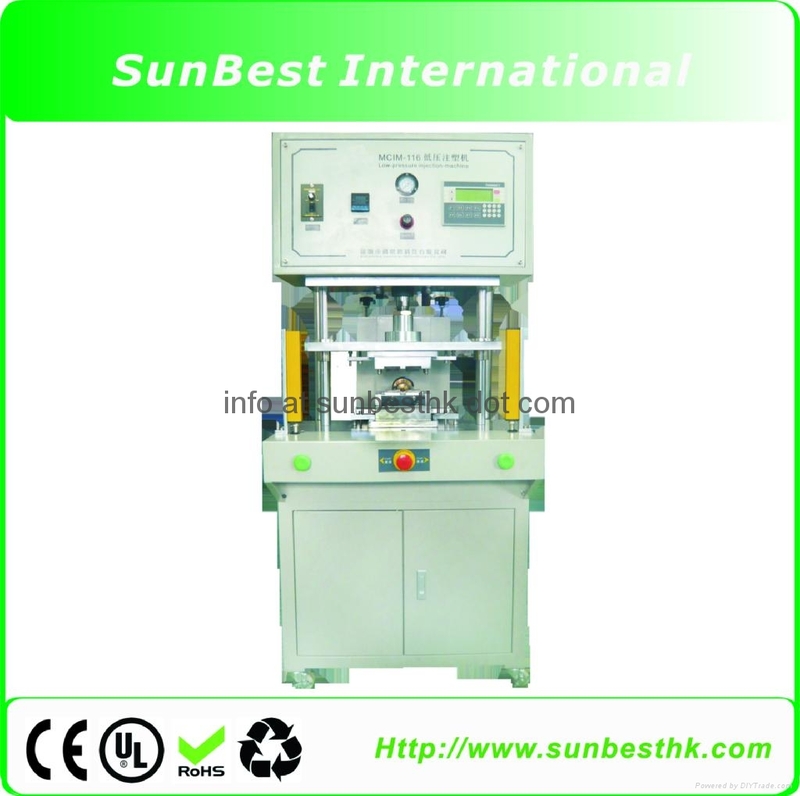 1、Vertical injection type, equipped with hot-runner system without waste. 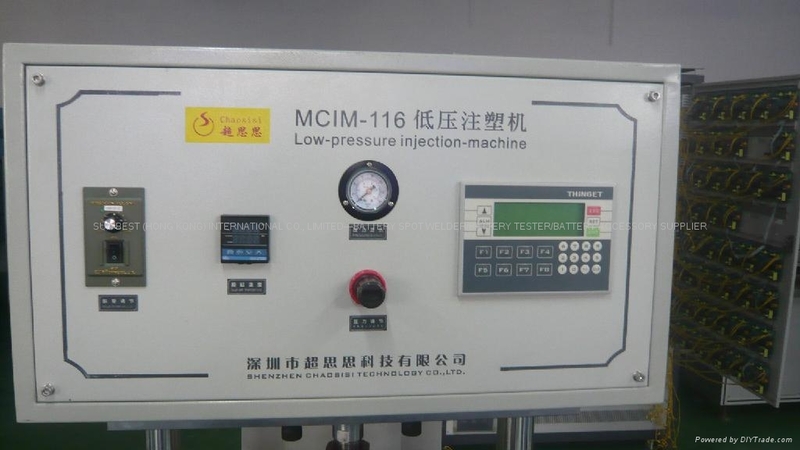 Optimize the productive and cost saving. 2、Utilized PLC and HMI for user friendly. adhesive precisely into the working station. This design is easy for maintenance. 4、Five Temperature control zones work independently. 5. Extreme safety light curtain to protect workers during the operation. 6. 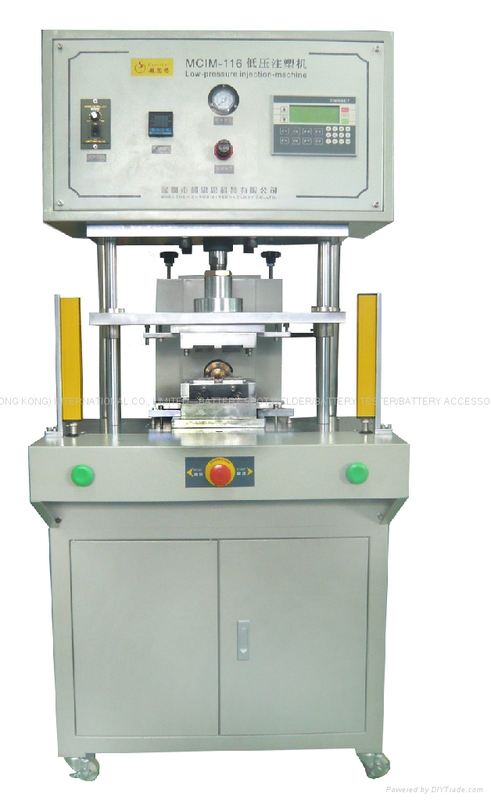 Wide range mold set fixture can fit different mold sets, ejector is equipped. 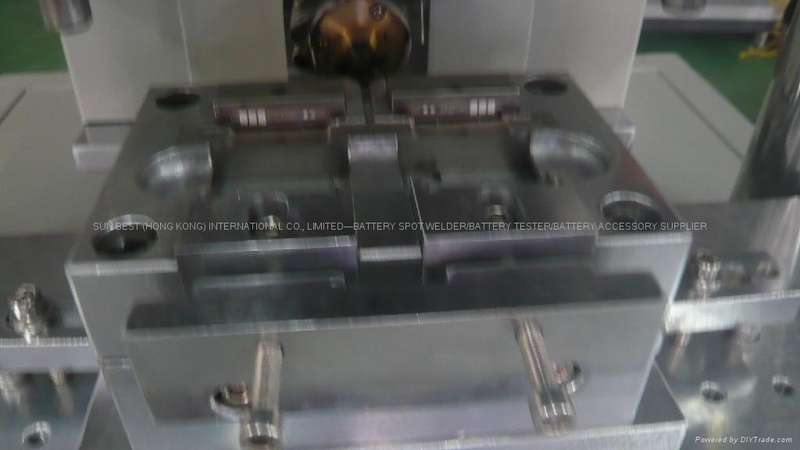 Automotive Electronics, Wire Hardness, Medical and Military standard water-tight connectors molding, LED lighting module molding, Sensors and micro-switch, RFID molding, Battery pack molding and PCB molding.